What Is Hoarding and How Is It Diagnosed? Hoarding is more than just having lots of things. It's a specific type of behavior that can have severe impact on a person's life. severe cluttering of the person's home so that it is no longer able to function as a viable living space. About 15% of people with OCD report compulsive hoarding as their primary symptom, with many others listing it as a secondary symptom. Hoarding can also occur in people with a variety of neuropsychiatric disorders, such as impulse control disorders or tic disorders. Hoarding is rare. While it usually begins in childhood, it often goes unnoticed until adulthood. People who hoard often have relatives who have also engaged in compulsive hoarding. If you hoard, you invest significant energy acquiring items through purchase or pursuing free giveaways. Some people even resort to stealing to acquire valued items. People who hoard will often frequent garage sales, junkyards and other areas where refuse is collected to collect items of interest. Purchasing items online has become an attractive option for people who hoard, too, as it allows them to avoid the embarrassment of making multiple and/or large volume purchases in person. If you hoard, it is not uncommon to have a rigid set of beliefs regarding your possessions. People who hoard often maintain that their hoarded possessions have a very high value and could come in handy for the future. In addition, you may even view your possessions as friends and feel guilty about discarding them. Many people who compulsively hoard are secretive and embarrassed about their condition. Owing to the secrecy and embarrassment, interpersonal and professional relationships are often hampered. Many hoarders remain single for their entire adult lives and may also experience an inability to work. Although hoarding can be embarrassing, many people are relieved after disclosing their hoarding behavior to a doctor or therapist. Like OCD, diagnosis of hoarding should only be done by a qualified mental health professional, such as family doctor, psychiatrist or psychologist. Are you able to resist the urge to collect items, even those you know you'll never use? Do you often avoid throwing things away because it is too upsetting? What percentage of your house is unusable because of clutter? 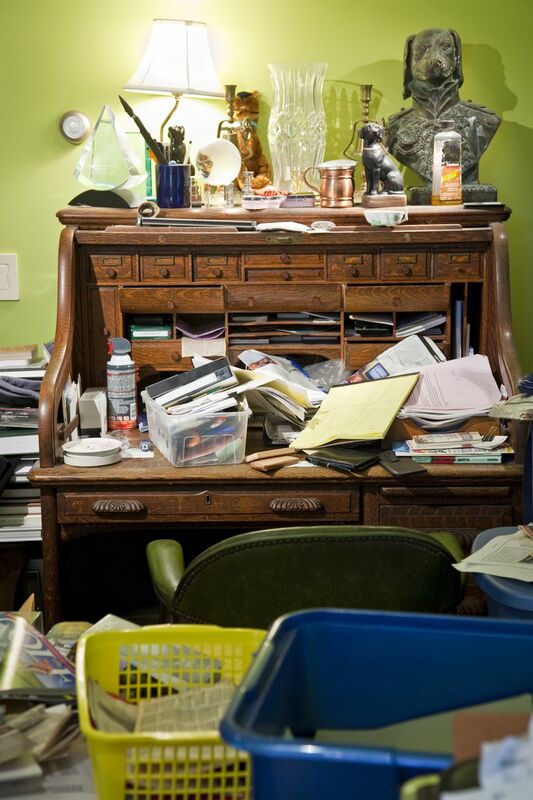 How much does the clutter in your home embarrass you? Hoarding does not seem to respond as well to medications such as Anafranil (Clomipramine) or Paxil (Paroxetine) as other forms of OCD. A cognitive behavioral approach may be more effective, as it specifically targets the harmful thoughts that are often present among people who hoard. Behaviorally, a number of strategies can be used, including exposure and response prevention, restricting the areas that are available for storage and better organization of clutter. Jefferys, D., & Moore, K.A. "Pathological Hoarding" Australian Family Physician 2008 37: 237-241. Stekee, G., & Frost, R. "Compulsive hoarding: Current status of the research" Clinical Psychology Review 2003 23: 905-927.